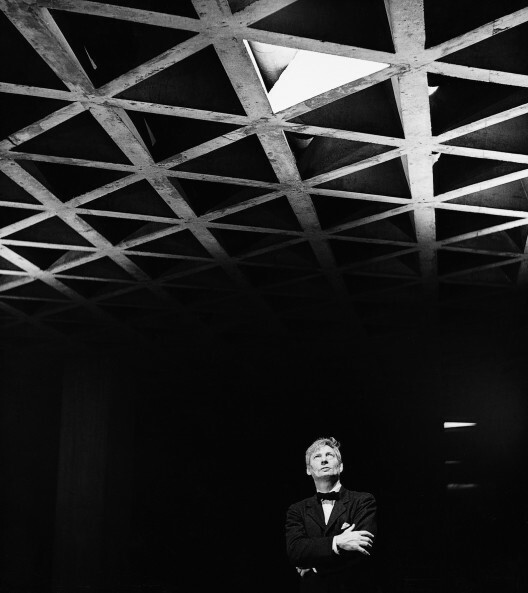 Louis Kahn Looking at His Tetrahedral Ceiling in the Yale University Art Gallery, 1953. Gelatin silver print. Image © Lionel Freedman. Yale University Art Gallery Archives Transfer. Light matters, a monthly column on light and space, is written by Thomas Schielke. Based in Germany, he is fascinated by architectural lighting, has published numerous articles and co-authored the book „Light Perspectives“. Does shadow have the power to give form to architecture? The increasing number of transparent buildings and LED installations would enforce the impression that light has eliminated the relevance of shadow. But to answer that question, let’s look back to a master of light whose architecture was shaped by shadow: Louis Kahn. As identified by Leonardo da Vinci, we often encounter three types of shadows: Attached shadow, shading and cast shadow. The attached shadow falls on the body itself – like a cantilever roof causing a shadow on the façade. The second type belongs to bright and dark contrasts, which are inherent to the form and depend only on the source of light, e.g. a ball shaped pavilion, which even under a cast sky shows a darker zone in the lower part. The third, cast shadow, could be the result of a high house generating shadow on the street due to the projection of the building outline. However, light was also a central element in Kahn´s philosophy because he regarded it as a “giver of all presences”: “All material in nature, the mountains and the streams and the air and we, are made of Light which has been spent, and this crumpled mass called material casts a shadow, and the shadow belongs to Light.” For him, light is the maker of material, and material’s purpose is to cast a shadow. Yale University Art Gallery, ca. 1954. Construction view of staircase. Photo © Lionel Feininger. Yale University Art Gallery Archives. 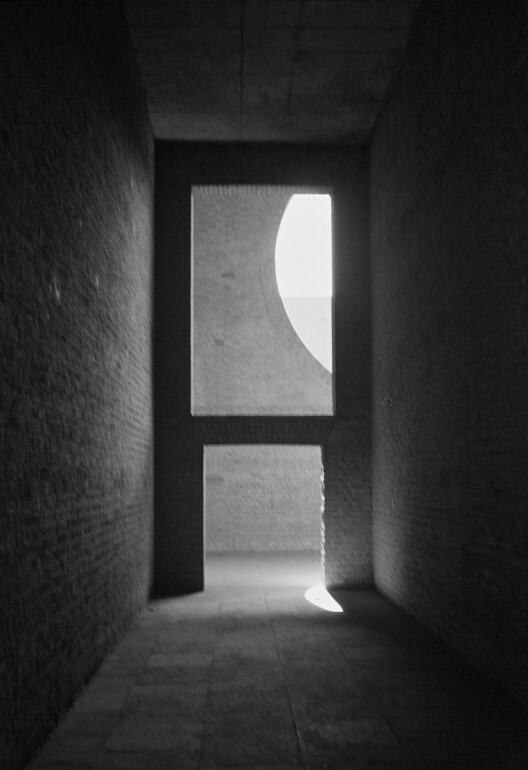 And because Kahn believed that the dark shadow is a natural part of light, Kahn never attempted a pure dark space for a formal effect. For him, a glimpse of light elucidated the level of darkness: “A plan of a building should be read like a harmony of spaces in light. Even a space intended to be dark should have just enough light from some mysterious opening to tell us how dark it really is. Each space must be defined by its structure and the character of its natural light.” As a result, the light as a source is often hidden behind louvers or secondary walls, thus concentrating attention on the effect of the light and not on its origin. Thus, walking through the sequence of openings at the portico of the Salk Institute brings to mind the dark silence of a cloister. Dark shadow lines and holes, from the precise defined moulds, offer a fine texture on the massive walls. The white stone and the grey concrete walls present a monotone three-dimensional canvas for the play of shadows. Shade turns into an essential element to reveal the arrangement and the form of Kahn’s monolithic volumes. 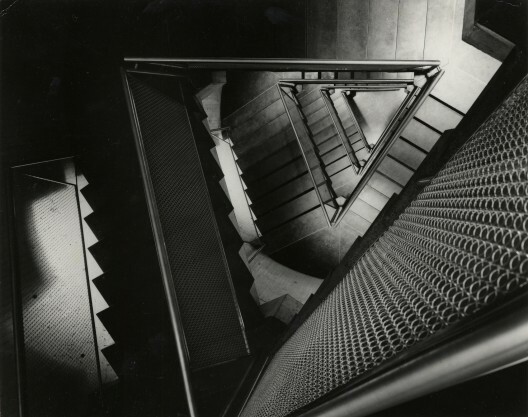 Kahn´s path of designing with shadow attracted numerous followers, like Tadao Ando with his Church of Light, Peter Zumthor and his Therme Vals or Axel Schultes with hisCrematorium. They all include shadow as a form giver for silent spaces. This perspective presents a pleasant counterpoint in today’s architecture that strives for dynamic and bright icons. 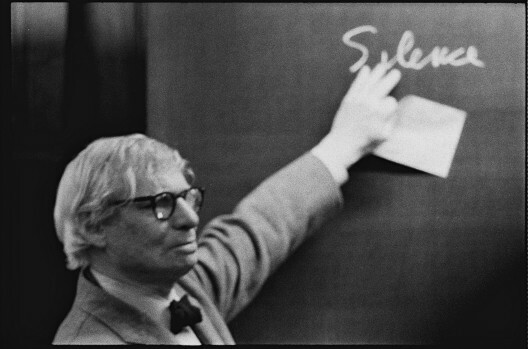 For further steps towards the treasury of shadow visit the Louis Kahn exhibition “Power of Architecture” in Germany or listen to Kahn´s lecture at the School of Architecture at the Swiss Federal Institute of Technology in Zürich from 1969: Louis I. Kahn – Silence and Light. The new released audio-CD from Park Books comes along with multilingual transcripts from his famous talk. This is an excellent opportunity to step onto the path of shadow with Louis Kahn.